As a member of an Enactus Italy team, you’ll be joining a worldwide network of more than 57,000 students who are making their own contribution toward our shared mission of creating a better world through the positive power of business. It’s an experience that will change both the lives of those in need and as well as your own. Enactus Italy students are talented, hard-working, value-driven leaders that blend a competitive spirit and drive to succeed with a sense of integrity and desire to give something back. The Enactus experience is designed to be a natural extension of your other academic activities, with the flexibility to create projects that best fit both the mission of your university as well as your own interests. 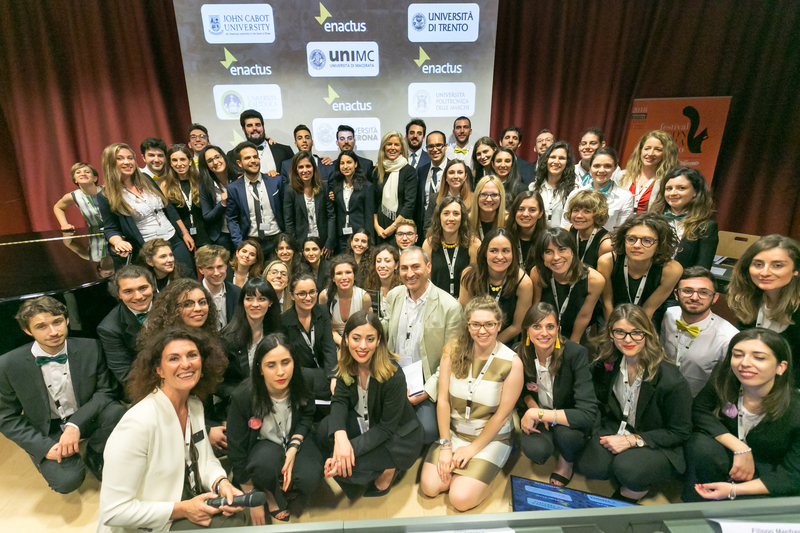 The culmination of the Enactus Italy’s program is the Enactus Italy National Competition and the Enactus World Cup. These competitions are challenging, team-oriented events that provide a forum for your team to present the results of your projects, and be evaluated by business leaders serving as judges. They also provide an opportunity for collaboration and best-practice sharing among the students, faculty and executives in attendance. As an Enactus student, your efforts are supported by a global network of academic leaders, executives, and Enactus staff. On your local campus, the Enactus program is led by an Enactus Faculty Advisor. You will also have access to a dedicated Enactus Italy staff that is available to assist you in your efforts, as well as numerous training resources, events, sets of unique programmatic initiatives. and grant opportunities. Participation in Enactus Italy provides you the opportunity to make a meaningful contribution in your community, while also gaining the experience, skills, and contacts necessary to build a successful career. Many top companies have identified Enactus students as the socially responsible business leaders of tomorrow and are aggressively recruiting them into their leadership training programs and key entry level positions. We invite you to begin helping to raise the quality of life and standard of living for others through the positive power of business by joining or to start an Enactus team on your campus by joining us. To learn more about the types of projects being done by Enactus Italy teams, click here.